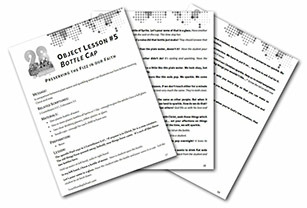 Today, we’re going to make a fun church craft that can be used in coordination with Matthew 4:18-22. 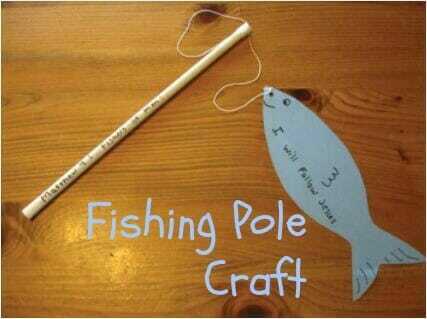 It’s a fishing pole craft to help teach “Fishers of Men”! 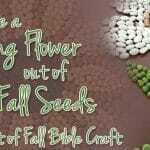 Looking for more great Bible Craft Ideas? 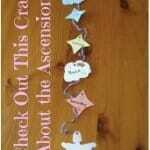 Check out these 40 Awesome Make & Take Bible Crafts! 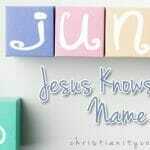 As Jesus was walking beside the Sea of Galilee, he saw two brothers, Simon called Peter and his brother Andrew. They were casting a net into the lake, for they were fishermen. “Come, follow me,” Jesus said, “and I will send you out to fish for people.” At once they left their nets and followed him. 1. 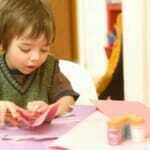 Create a “fish” template from one of the pieces of construction paper. Your fish can be hand-drawn and should run the width of a piece of standard construction paper, around 11 inches from tip to tail. (If you don’t like hand drawing, many fish templates can be found on the Internet). 2. Use the template to trace a fish on enough sheets of construction paper so that each of your students will have one. 3. Cut the 18-inch lengths of string, one for each student. 4. Remove all pieces of cardboard from the hangers, then discard the hangers. 1. Cut out their fish. 2. Using markers, draw on fins, a tail, and a face. 3. Using the hole puncher, punch a hole near the fish’s mouth. 4. Wrap one end of the string several times around one end of the cardboard hanger insert. 5. Use an inch-long piece of scotch tape or masking tape to hold it in place by wrapping the scotch tape over top of it. 6. Thread the other end of the string gently through the hole punched near the mouth of the fish. 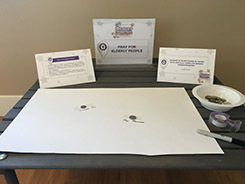 Tie a loose knot (they may need your help so as not to break the paper). 7. Reinforce the fish’s mouth with scotch tape if it appears the paper may tear. 8. Write their name on one side of the fish. 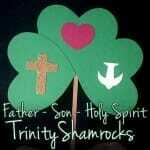 10.On the fishing pole write, MATTHEW 4: FISHERS OF MEN! 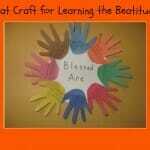 Looking for more great Bible Craft Ideas? 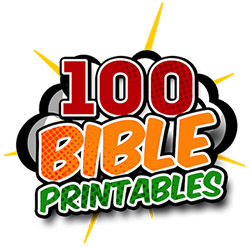 Check out these 40 Awesome Make & Take Bible Crafts! And don’t forget to Become a Fan on Facebook, Follow Us on Twitter and Come Hangout with Us on Google+!